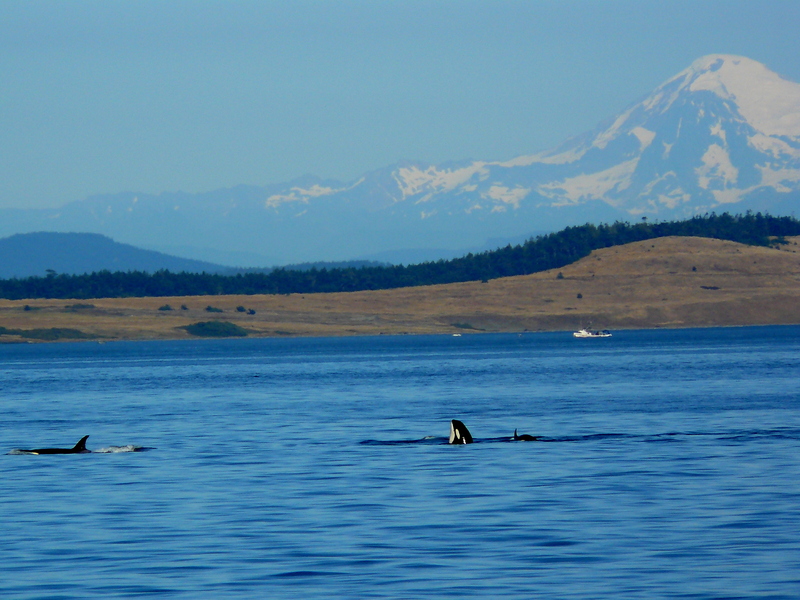 Resident Orcas had been out of our range, heading out to the Pacific Ocean, which is typical as their preferred prey, the summer Chinook Salmon finish their swims to spawning grounds and fall Chinook Salmon (hopefully) start coming into the Salish Sea. 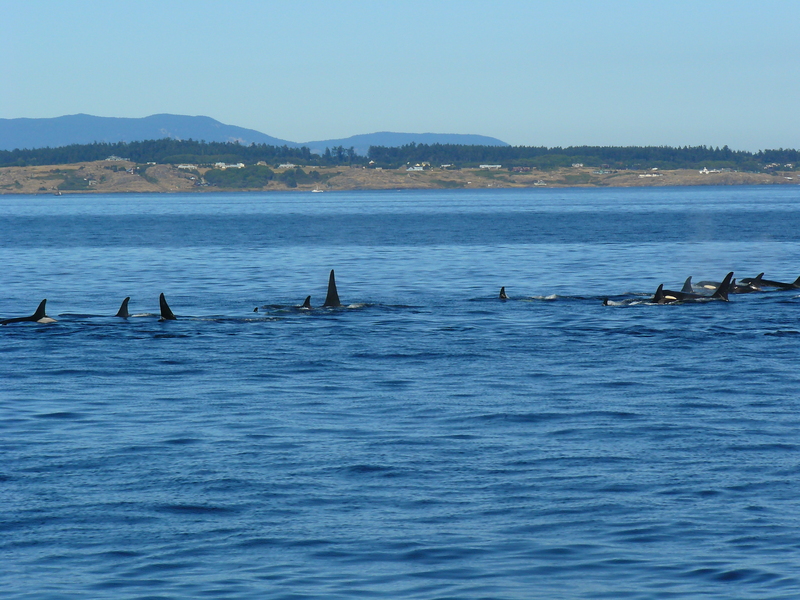 Today a beautiful experience, from 3:32pm to 4:30pm, to see 2 large groups of J-Pod, K-Pod, and orphan 19 year old L-87 Onyx! 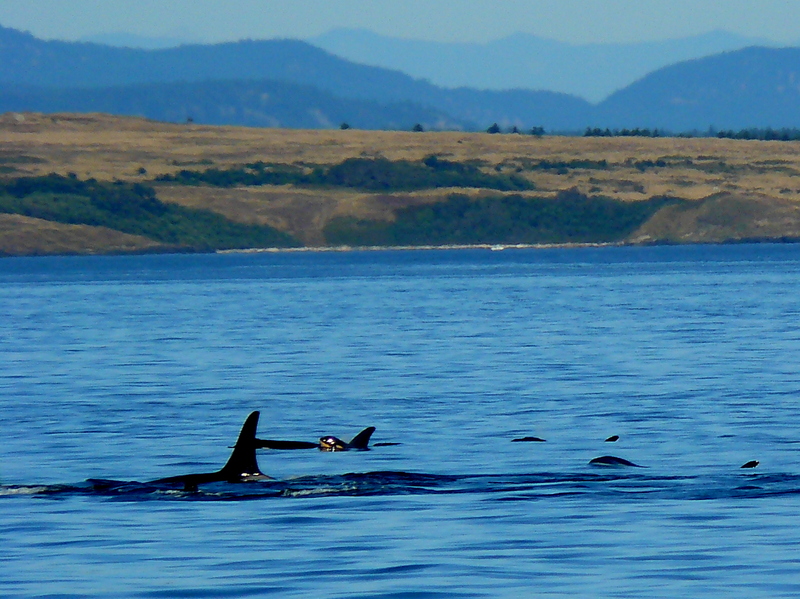 (He has been sighted with J-Pod for the last 2 seasons, so an honorary J-Podder now?! ), I think it was also the warmest day of the year and we enjoyed the calm, glass like slack water, where the flooding, high tide had finished, then a mild ebbing, low tide, so not a lot of currents and good visibility. 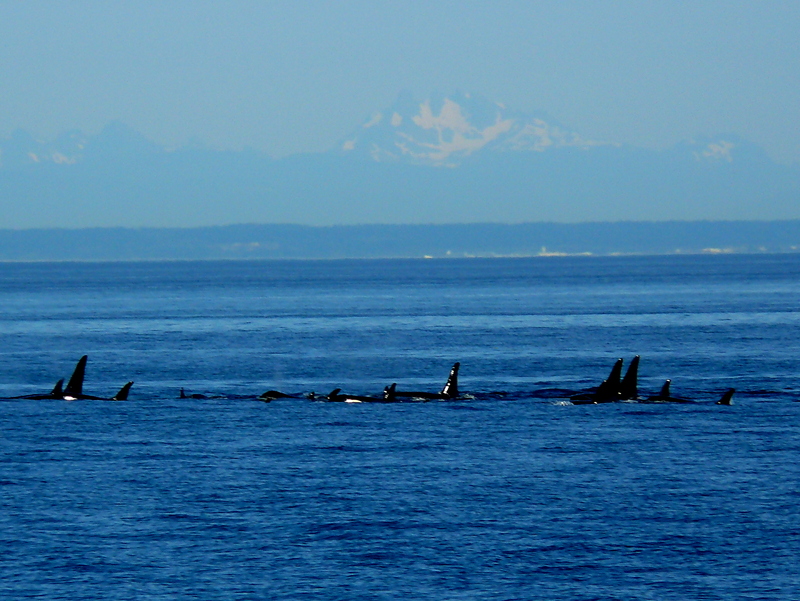 I wonder that the whales enjoyed it too, choosing to rest a bit, shoulder to shoulder, slowly swimming, zigzagging the area off of False Bay to Hein Bank in the Strait of Juan de Fuca. Hard to describe the magical encounter, hopefully the videos will share the moment!